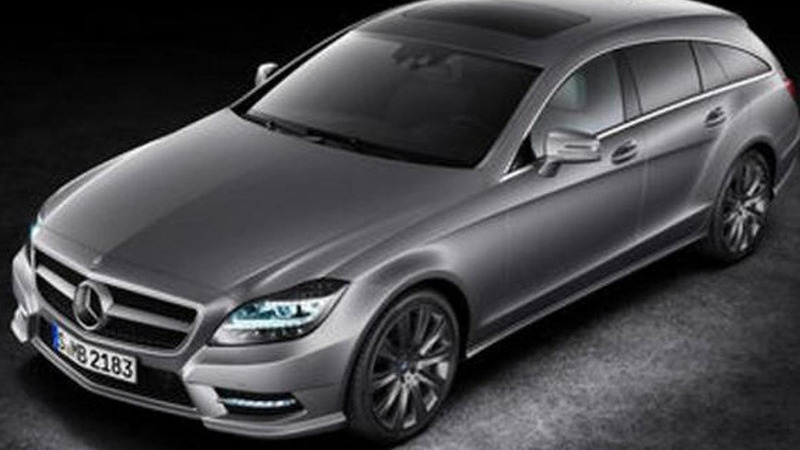 Prior Design has created a wide aerodynamic body kit for the first generation Mercedes-Benz CLS (W219). 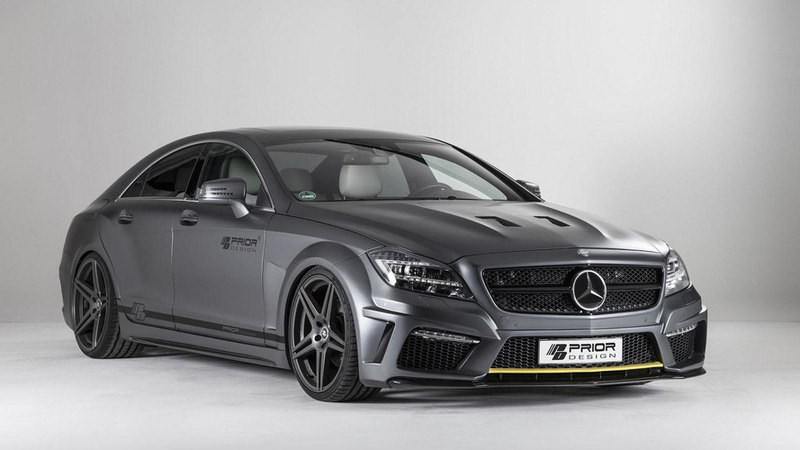 Prior Design has introduced their PD550 Black Edition package for the Mercedes CLS. 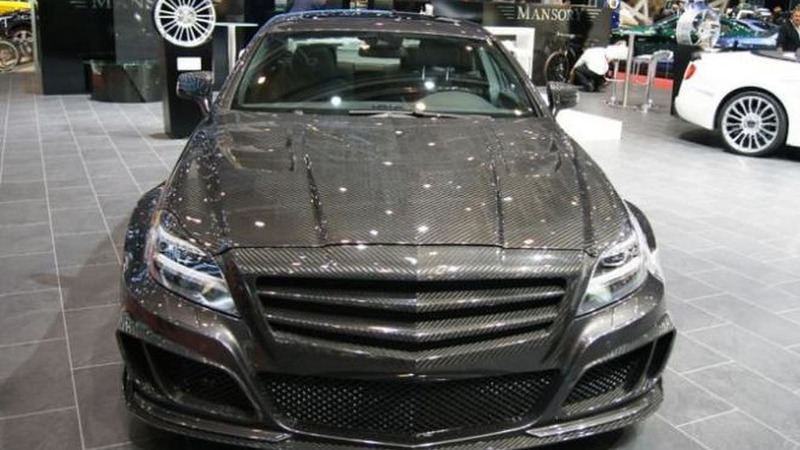 It features new bumpers, revised side skirts and extended front fenders. 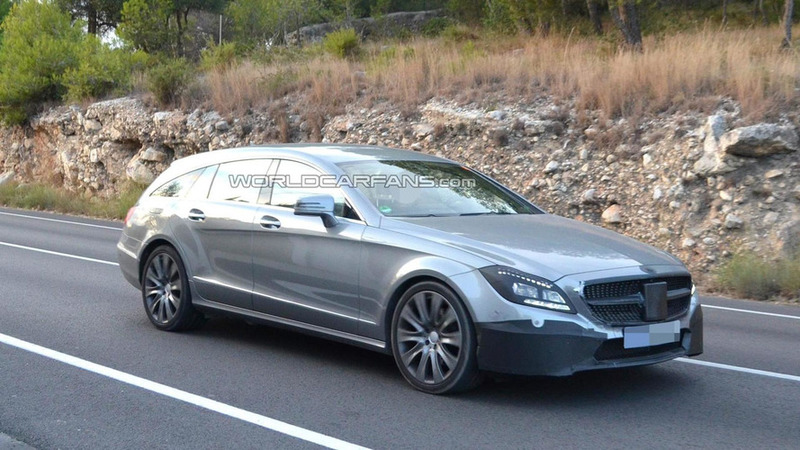 The Mercedes CLS Shooting Brake is set to get its first facelift for the 2015 model year. These latest shots of a prototype were caught up close and give a best look yet at the changes. 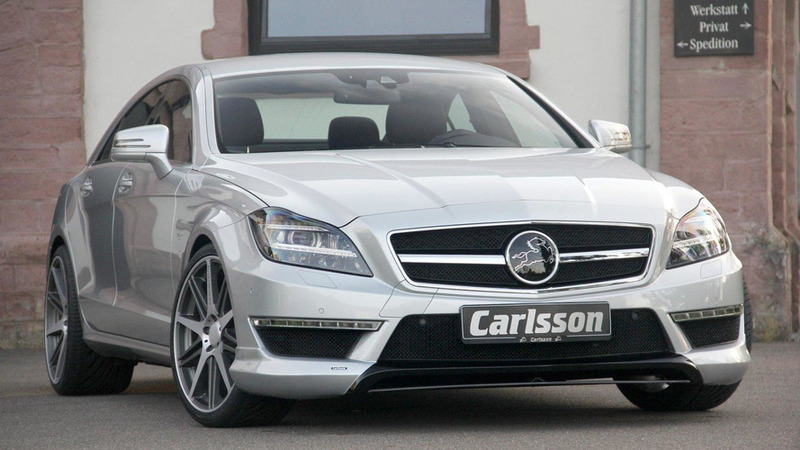 Sport Auto's Christian Gebhardt has conducted a top speed test with the CLS 63 AMG-based Carlsson CK63 RS. 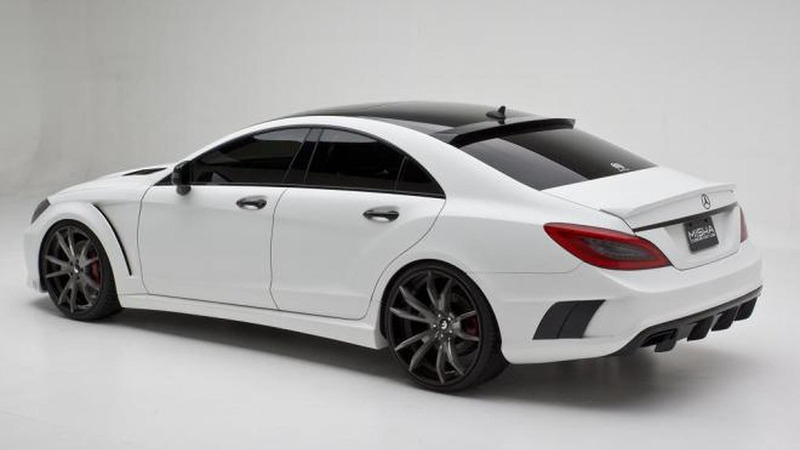 The tuners at Wheelsandmore have released an update for their CLS 63 AMG upgrade program. 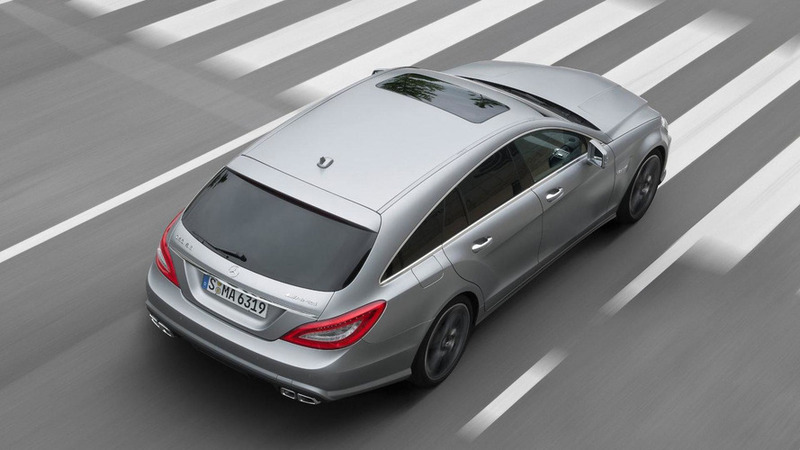 Following its media reveal a few weeks ago, the CLS 63 AMG Shooting Brake made its public premiere on the "Night of the Stars" at the German Grand Prix this past weekend. 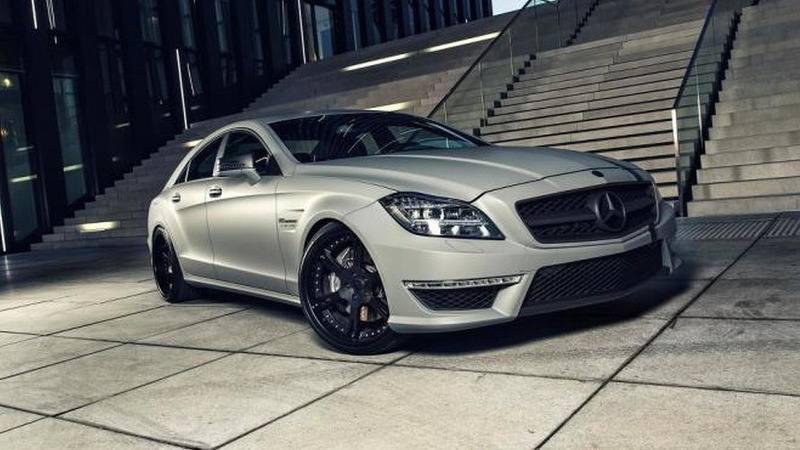 This includes both the standard version as well as the AMG infused performance model, meaning US customers will have to make do with just the four-door coupe body style. 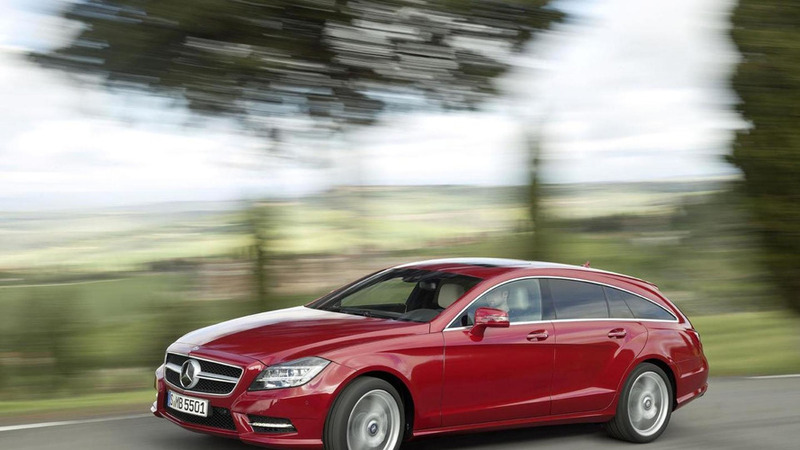 Just a few days after the all-new CLS Shooting Brake variant was revealed, Mercedes has quietly released first images and details of the high-performance CLS 63 AMG variant via their German site. 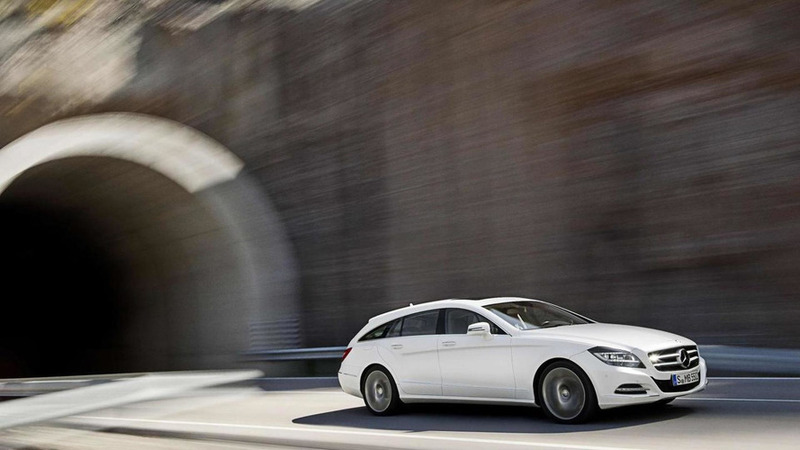 Mercedes has officially unveiled the CLS Shooting Brake. 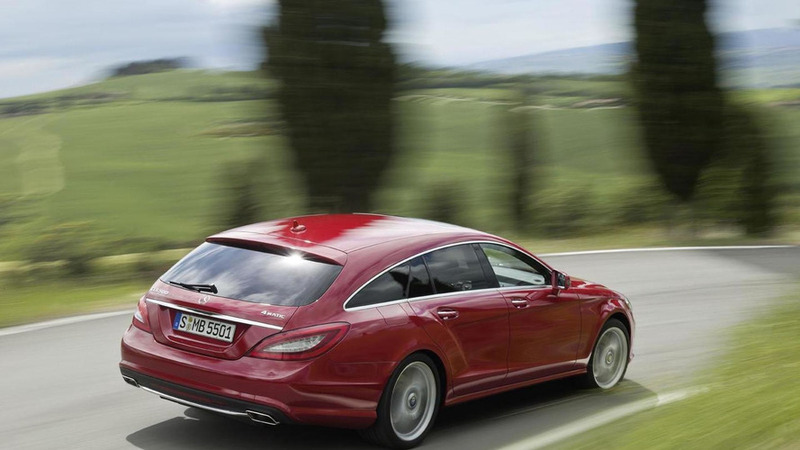 It features unique styling and a boot that holds 590-1550 liters (20.8-54.7 cubic feet) of luggage. 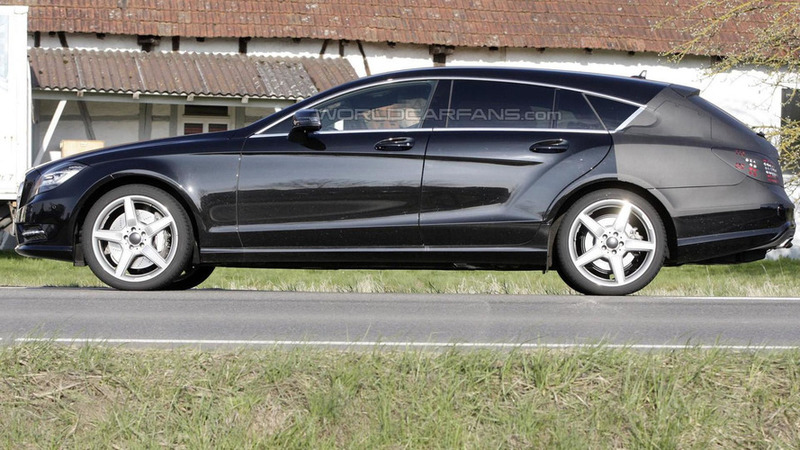 The first official photo and initial details have leaked to the web of the new Mercedes CLS Shooting Brake ahead of the model's debut at the Paris Motor Show in September. 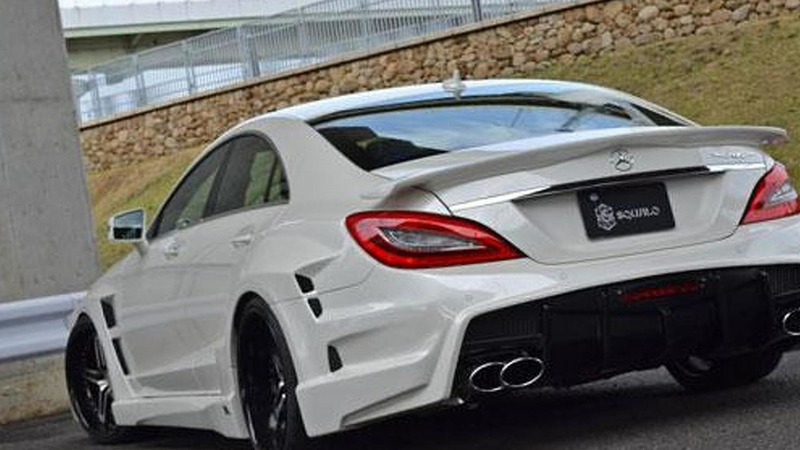 Vitt Performance has introduced a new styling package for the Mercedes CLS (W218). 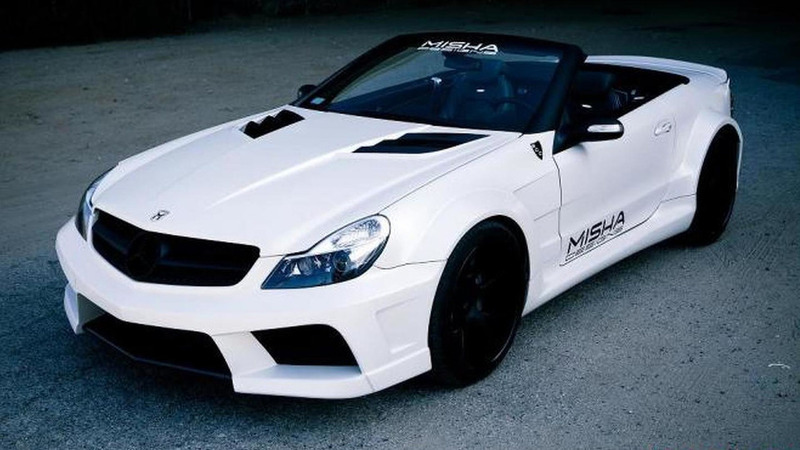 Misha Designs has anounced their CLS-M kit for the current 2011 Mercedes CLS (W218). 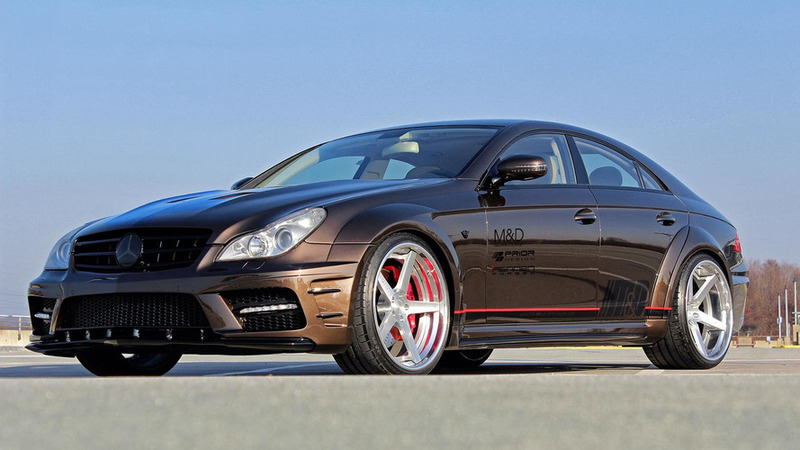 German Special Customs has introduced a new tuning program for the Mercedes CLS 63 AMG. The prototype still wears the minimal amount of camouflage on its rear end, but once again fails to hide any of the styling elements from prying eyes. The model continues to wear the same camouflage as we have seen on previous sightings which only acts to cover the rear end design lines. 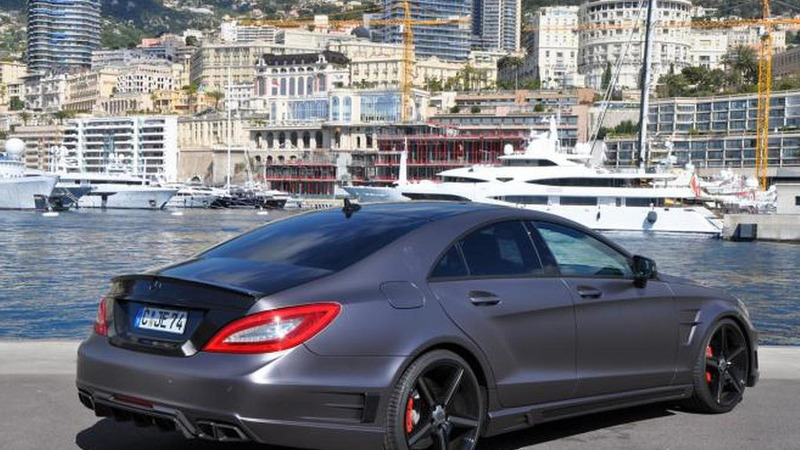 Overshadowed by two high profile debuts (MP4-12C, Aventador) from the house of Mansory, the Mercedes-Benz CLS63 AMG was somewhat neglected by the world's media. 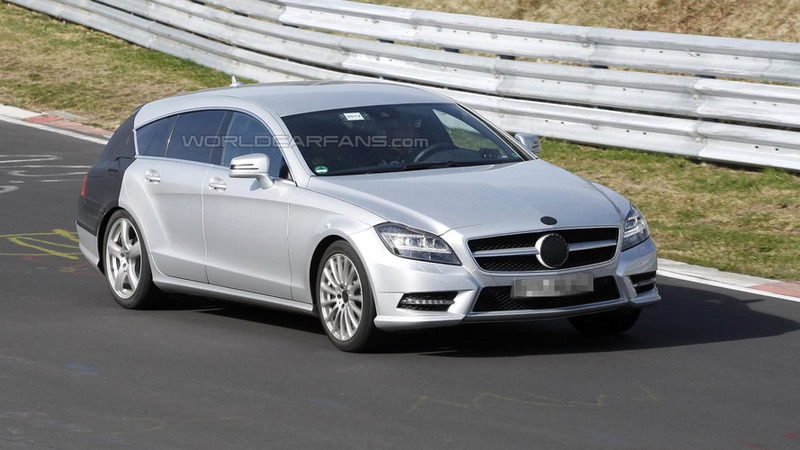 Better late than never, we have the full details and photos for you.